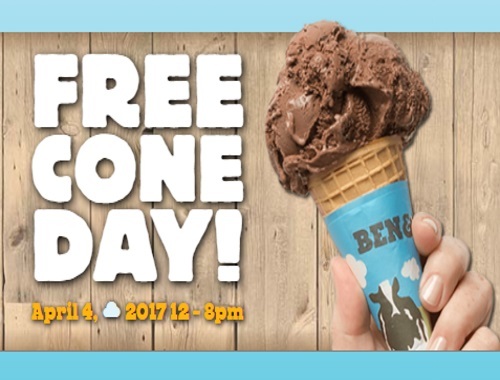 Free Cone Day is back at Ben & Jerry's! This year's extravaganza will be taking place on Tuesday, April 4, so be sure to mark your calendars and grab your friends! Free Cone Day is being celebrated around Canada and they'll be giving away free ice cream at a host of locations between 12pm and 8pm! Sadly, I only see three locations listed, all in Quebec. I wish they would open more locations! Update - A reader informed us that Toronto people can get Ben & Jerry's Free Ice Cream at Ryerson University on April 4 between 12-3pm. Woohoo!